Ottman “Bulldozer” Azaitar, 28, of Germany is no longer the reigning Brave Combat Federation Lightweight Champion. 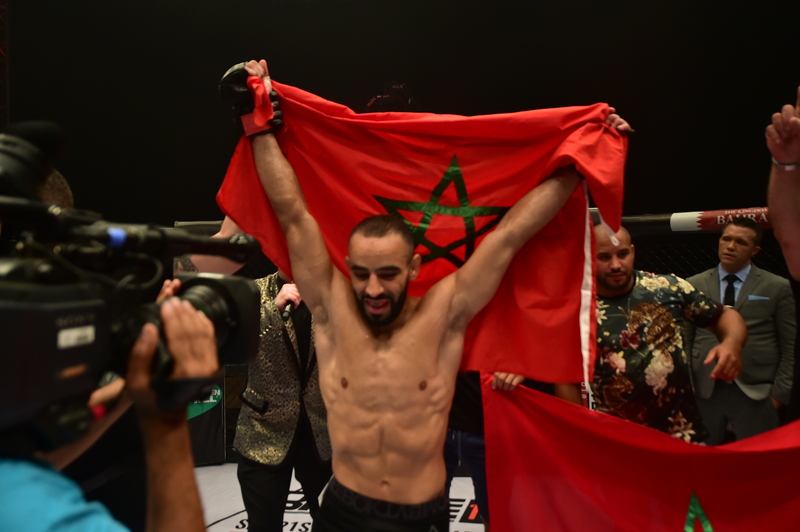 With a professional mixed martial arts record to 11 wins and 0 loss, the undefeated Moroccan-German MMA fighter has been stripped of his belt due to his unwillingness to defend his title for almost one year. By knocking out Alejandro Martinez at “Brave 9: The Kingdom of Champions,” Azaitar became the inaugural Brave CF Lightweight Champion on November 17, 2017 and has not defended the title since then. In Azaitar’s most recent bout, which was at “Brave 14: Morocco,” he competed in the welterweight division and knocked out Danijel “Vitez” Kokora, 28, of Deliblato, Serbia. On April 13, 2018, Lucas “Minero” Martins, 29, of Montes Claros, Minas Gerais, Brazil became the Brave CF Interim Lightweight Champion by knocking out Luan “Miau” Santiago, 23, of Salvador, Baha, Brazil. Shahid has confirmed that Brave CF will no longer have interim champions and Martins is going back to the featherweight division, which is the Montes Carlos native’s original weight class. Shahid named Santiago, Abdul Kareem “Pride of Palestine” Al Selwady, 23, of Amman, Jordan and Eldar Eldarov, 27, of Russia as the top contenders of Brave CF’s lightweight division. The Brave CF president also confirmed that a new champion of the division will be crowned at “Brave 18” in November 2018 at the Khalifa Sports Arena in Isa Town, Bahrain in time for the Brave International Combat Week. “If we don’t have that caliber of fighters who are willing to fight against the best in the world, it is something that is not… that fighter doesn’t have a place in the Brave Combat Federation,” the Brave CF president added. He said Azaitar is not competing in 2018 after “Brave 14: Morocco” as confirmed by his manager.